Tory Bodeen grew up in a run-down house where her father ruled with an iron fist and a leather belt—and where her dreams and talents had no room to flourish. Her one escape was her neighbor Hope, whose friendship allowed Tory to be the child she wasn't allowed to be at home. Then Hope was brutally murdered, and everything fell apart. Now, as she returns to Progress with plans to settle in and open a stylish home-design shop, Tory is determined to find a measure of peace and free herself from the haunting visions of the past. 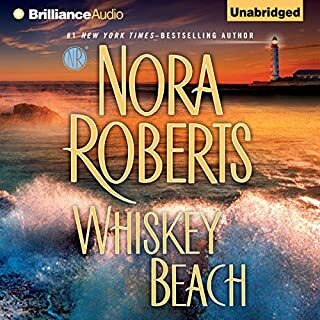 As she forges a new bond with Cade Lavelle—Hope’s older brother and the heir to the family fortune—she isn’t sure whether the tragic loss they share will unite them or drive them apart. But she is willing to open her heart, just a little, and try. This reader doesn't know how to pace her words. She made it very difficult to like the characters and the story. Great story, riviting, couldn't stop listening. Riviting, thrilling , a great story that you can't get enough of. Definitely worth listening/reading. 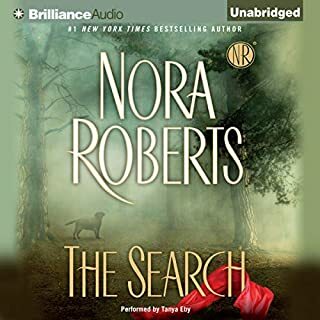 What could have been a very enjoyable, classic, Nora Roberts mystery of the highest caliber was tedious because of the poor narration. A monotone unimaginative delivery that spoiled the whole. it us exactly what i expected, romance, mystery and a twist at the end. The narrator sounds just like Janet Reno. Terrible choice for a romantic novel. Although I appreciate the non-use of fake accents. 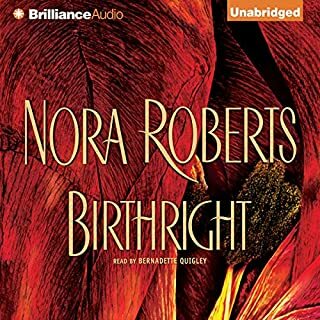 I really enjoyed the story and am a long-time Roberts fan, but the narration of this book just grated on me. Being a southerner myself, I appreciate the appropriate accent, but the voice quality and dramatic effect were just awful. I am so sorry about it. Wish I could hear the book with another voice. I almost didn't get past the first chapter or two of this audiobook, as the reading really annoyed me. It is fast and sentences are strung together. The reader doesn't have the best voice to listen to either. However, I continued because I didn't want to waste my money. I began to get past the voice and hear the book. The book itself is good. 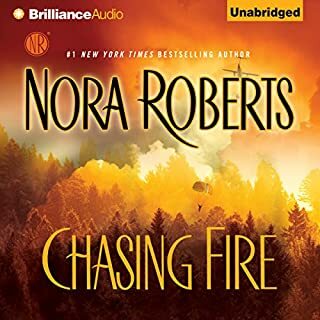 Nora describes things in a way that you can picture the scene. The characters are well-developed. If you can get past the voice, you will like this book. 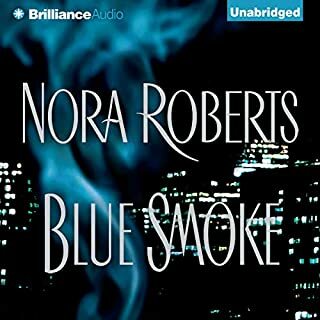 I am a great fan of Nora Roberts. Her book (of corse) is good. Her reader, however, is the worst I've ever heard. I would advise never to use this one again. What an intense book. And the ending. WOW Didn't care for the narrator. Couldn't differentiate between characters. Otherwise, a very good book. 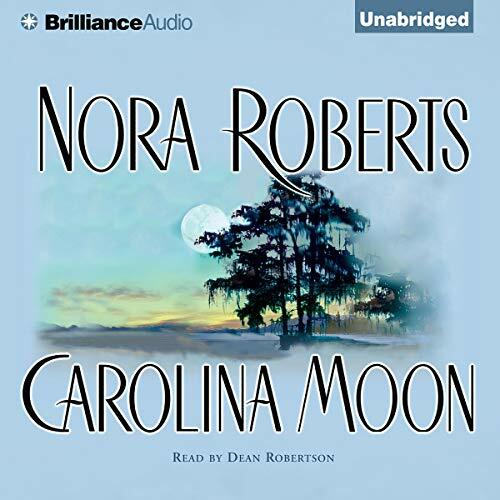 Okay, Okay....so a lot of people really disliked Dean Robertson's narration of Carolina Moon. I absolutely loved it. Robertson is an old-fashioned reader, a storyteller. She doesn't act parts, doesn't change her voice and doesn't tell you what to think. She gets out of the way of the story and lets it flow in her honey-southern voice. It's not a great story. 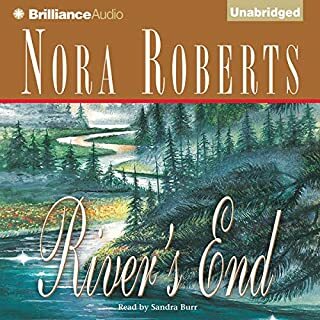 It's early Nora Roberts- you can see everything-even the red herrings- coming a mile away. 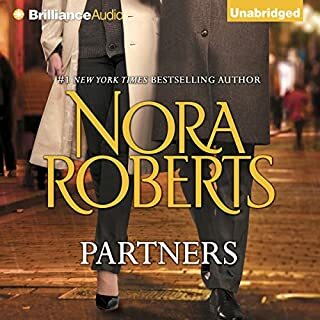 But it's Nora Roberts, a master of sustaining both the story and your interest. 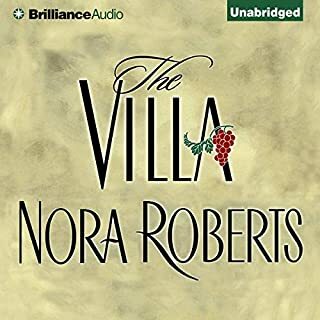 It's a great pairing- like pizza and a really good Cote du Rhone, Robertson's reading style made this listen a memorable experience. Ignore narrator, listen to the story. What did you love best about Carolina Moon? I enjoyed the interaction between all the characters. The story line is very interesting and kept me listening. 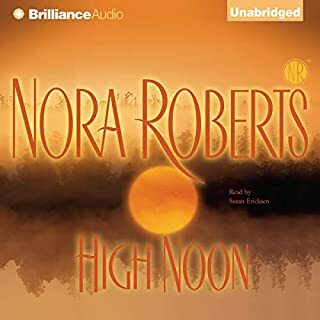 What other book might you compare Carolina Moon to and why? 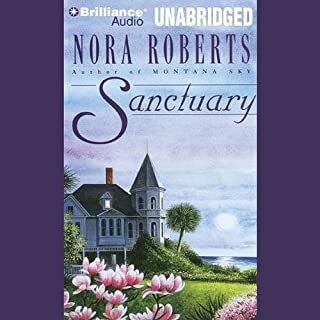 I think Nora Roberts Sanctuary. It has similar suspense and character dynamics that keep it interesting. Would you be willing to try another one of Dean Robertson’s performances? I would prefer not. There just wasn't any emotion. I couldn't tell the difference in many of the characters and there were many times that a sentence blended with the next one so it was hard to make sense of what was being said. It may have been with someone else reading. 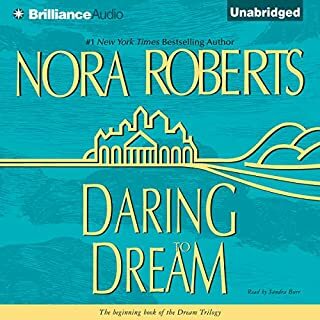 I have many Nora Roberts (as well as many other authors) and even if you have a strong story, if the narrator doesn't do a good job, it detracts considerably from the book. Excellent book.Held my interest all the way to the end. I thought I knew how it would end but was I supprised! I really enjoyed the story line, but the narrator didn't fit. It was hard to get past the way she narrated, and sometimes difficult to determine which character was speaking. 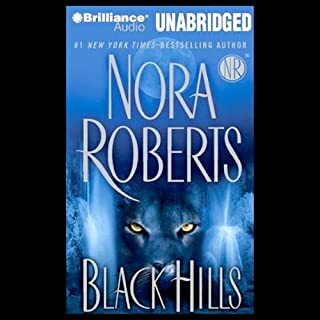 Would you try another book written by Nora Roberts or narrated by Dean Robertson? 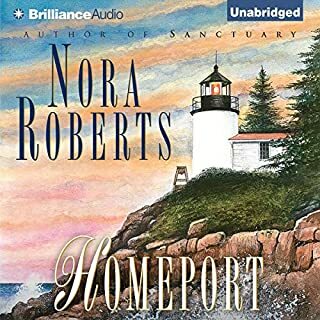 Nora Roberts - yes! Dean Robertson - definitely NOT!!! The name is male, but the voice is female - what a surprise! Faith - she is an "in your face" kinda gal, but definitely has a softer, sweeter side. The cadence and inflections were OFF. She read it as though she was reading a scientific treatise instead of an emotional novel. Won't buy another book narrated by this one. Was Carolina Moon worth the listening time? The story was wonderful - full of surprises, and the characters were interesting, but the narration ruined the book for me. I just wonder if anyone actually listens to the performances by these narrators before the books are released. If so, new listeners with a more discerning ear need to be hired for that job! An enjoyable story. but the narrator doesn't quite have the full character defination that I feel she was aiming for. This is most noticable for some of the minor characters, as they can some time blur together with the similar tones. But her range for the main characters old and young is certainly spot on. The story is enjoyable with an unexpected twist to it but it can be quite hard work to listen. the narrator's reading is ok but often seems rushed, almost as if trying to keep to a certain number of words per minute. There is not much difference in the voice between different characters, which is fine and infinitely preferable to poorly done accents, however when coupled with the deadpan and slightly rushed delivery can make it hard to follow some of the conversations between characters. On the whole, I enjoyed the book but if I reread it, will probably do so in print. I really have trouble listening to voices that are irritating or have something so distinct that you cannot differentiate between the characters. She is croaky and hoarse and it carries thru to every character. Enjoyed the story (I’ve read the paperback and can vouch for the story), but it’s ruined by the narration. There’s no attempt to even slightly differentiate between characters, between verbalised sentences and thoughts or background narration of the story... at points it was really quite amusing: the hero tells the heroine he’s interested in her and she replies “no no oh no”... but has he said that or has she? Did she say it, think it, or is it “colour”, telling us what she’s thinking?! And the tone remains completely flat throughout regardless of joy, sadness, tension or anger. Conversations between people were (at points) impossible to untangle. 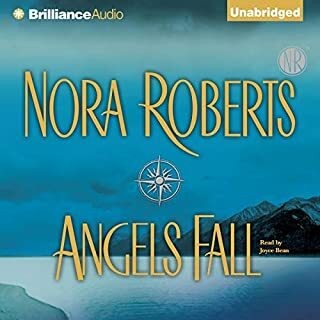 I have about 250 audible audiobooks, and I’ve never heard anything like this. 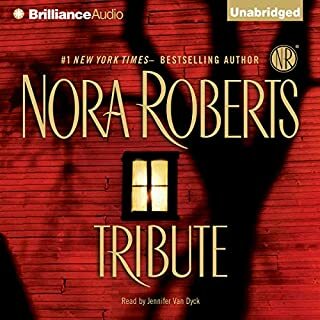 Get the audiobook, but not the one narrated by Dean Robertson. 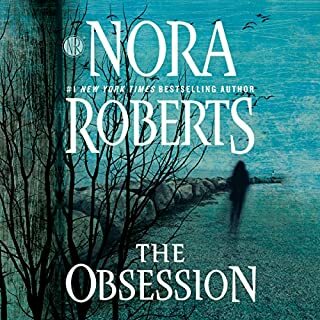 If you’re a Nora Roberts fan then it may be worth persevering. 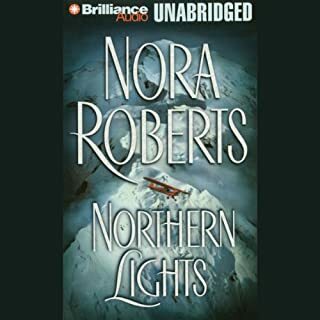 The story was very good as are all Norah Roberts books that I have listened to. The narrator was very poor, half of the time I found it hard trying to separate the people as they all sounded alike. What a pity, if it had bee done with another narrator I would have given it five stars, and if the story hadn’t been as good I would have returned it. This is a story that is bound to enthrall. The reader is not! A dull boring voice that does no justice to the book. Would you listen to Carolina Moon again? Why? It's a bright story about good people. What was one of the most memorable moments of Carolina Moon? The initial road trip to stock the shop. Have you listened to any of Dean Robertson’s other performances? How does this one compare? A great listen where slightly annoying people improve, good people get what they deserve and mostly bad people get their come-uppance. It's a glad to be alive story which triumphs over the dark evil which wins a lot of book time in other stories. The main reason my rating is not higher is because I found the narrator incredibly difficult to follow. I kept falling asleep, which is not the best recommendation for a suspense romance. This was because there was no noticeable difference between one character's voice and another character's voice. Dialogue was very difficult to follow. Though the narrator's voice was pleasant of itself it seemed to lack both characterization and a sense of wide emotional range. 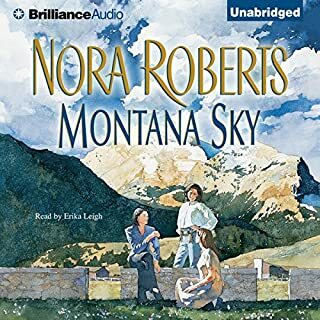 I think I would have enjoyed the story if I was reading it but the purpose of an audiobook is that it stands as it is. A fairly good story not well served in this audio version.